Thermal Overload Protector features 125/250V, 15A, designed with 10mm diameter thread, black plastic case, Reset button, easy to install. Wonderful protector for air Compressor or other electric appliances. 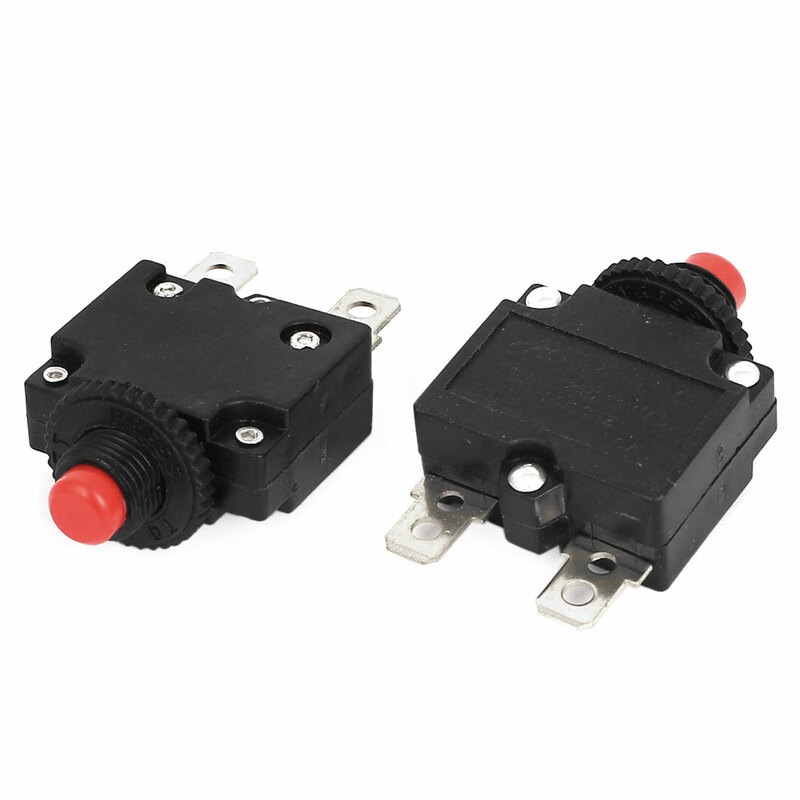 • Net Weight: 20g; Package Content: 2 x Circuit Breaker; Main Color: Black, Silver ToneRated Voltage: AC 125V/250V; Rated Current: 15A; Frequency: 50/60HzThread Dia (Approx. ): 10mm/0.4"; Overall Size (Approx. ): 4.5 x 2.8 x 1.3cm/1.8" x 1.1" x 0.5" (L*W*H); Contact Type: NCPin Size: 10 x 6mm/0.4"x 0.24"(L*W); Pin Center Distance: 18mm/0.7"